The nationally distributed Origin Magazine recently published its latest edition with an emphasis on marine conservationist. TISIRI's own director and underwater cinematographer Joe Kistel was featured as an Ocean Hero. 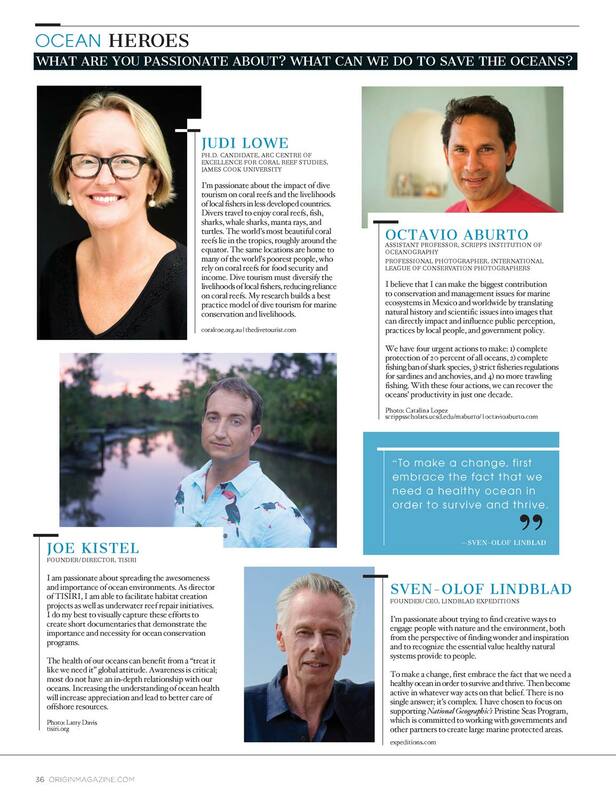 Click on the image below to see the segment or look for a copy of Origin Magazine to see all the fantastic Ocean Heroes featured.